Fermentation of biomass or carbohydrate-based substrates presents a promising route of biological hydrogen production compared with photosynthetic or chemical routes. Pure substrates, including glucose, starch and cellulose, as well as different organic waste materials can be used for hydrogen fermentation. 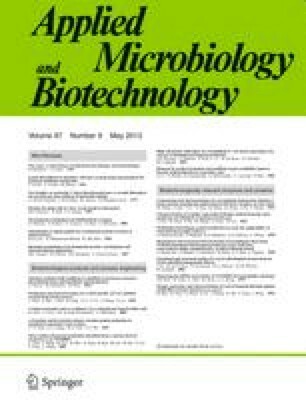 Among a large number of microbial species, strict anaerobes and facultative anaerobic chemoheterotrophs, such as clostridia and enteric bacteria, are efficient producers of hydrogen. Despite having a higher evolution rate of hydrogen, the yield of hydrogen [mol H2 (mol substrate−1)] from fermentative processes is lower than that achieved using other methods; thus, the process is not economically viable in its present form. The pathways and experimental evidence cited in the literature reveal that a maximum of four mol of hydrogen can be obtained from substrates such as glucose. Modifications of the fermentation process, by redirection of metabolic pathways, gas sparging and maintaining a low partial pressure of hydrogen to make the reaction thermodynamically favorable, efficient product removal, optimum bioreactor design and integrating fermentative process with that of photosynthesis, are some of the ways that have been attempted to improve hydrogen productivity. This review briefly describes recent advances in these approaches towards improvement of hydrogen yield by fermentation.